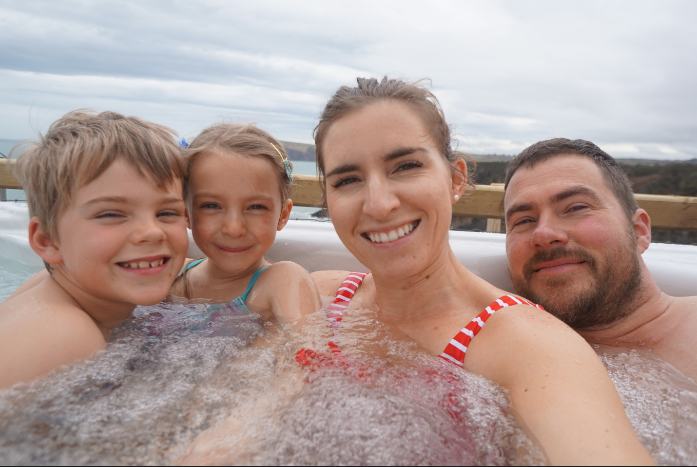 Since having Alister we've always had some sort of 'routine' we personally felt Alister needed some sort of structure in his life, although we're not at all strict or restrained by a routine we still think it has helped us all in some way. I posted a video back in August about the children's routine and I will leave it below but I want to give you a brief description of what our typical routine is during a normal day. 7am wake up time! Although Alister is usually first to get up around 6/6.30 , sometimes we are all up before 7 though! Breakfast time is no later then 8am on a weekend and by 7.30am on a week day due to school run! I pack him up a packed lunch and head out the door by 8.15am no later!! He starts school at 8.35am. Me and Violet usually head back home if we're not venturing out for the day, violet typically ask for a snack is she's peckish, usually no later then 10 is the norm! Between 9-11 it's usually quality me & violet time, whether that's reading book , crafts, puzzles or just putting a dvd on that's our time! Before lunch I tend to do some sort of house work, either whizz round with the Hoover, dust, steam mop just a little chore to fit in the day! We have lunch around 12-1pm depending on how hungry Violet is sometimes it's a little earlier. After lunch and everything is cleared away 1-2.30 sometimes Violet might have a mini power nap usually on me which I really don't mind! Gives me a chance to edit/ blog or just have some 'alone' time! If she doesn't we might head out for a little walk around the farm, sit in the garden or just general play time. We leave the house just after 2.30pm to get Alister he finishes school at 3pm but as I have to drive to school I have to make sure I get a parking space! Sometimes this gives Violet a chance also to have a power nap if she hasn't had one earlier. Once were home between 3-4ish it's usually quiet time for Alister he's usually tired from school, most often he will sit and play with his Lego, or we're sit down and read his school books. Depending on how quick dinner is I usually start it around 4pm sometimes later, Graham comes in from work no later then 5.30pm so I like to have dinner on the table before then. From 5.30-6.30 it's play time with daddy! I love this time as it gives me a chance to clean up and get bath stuff ready and gives him a chance to catch up with the kids and enjoy them before bed! Bath and in pjs by 6.30-7pm , since the time change where we've lost an hour it has rather mucked the kids up! There usuall bed time was always 7-7.15pm but more frequently it's been 8pm. Luckily as of lately we have reined it in a bit and they've been asleep by 7.30pm which is absolutely fine! They both sleep through the night, once they are both asleep it's quality mummy & daddy time! Thats pretty much our basic routine heres a link to the video i made back in August.